With all those construction cranes on the skyline and the pretty artists’ renderings of Boston’s newest glass-and-chrome towers, sometimes it’s easy to forget the other side of the development coin. Yes, the rich are getting richer and more comfortable. How nice for them. But as Boston enjoys a building boom like never before, its poor are, at best, treading water. Increasingly, they’re being chased out of neighborhoods they can no longer afford. That’s why what happened this week on the edge of the old Combat Zone — a real estate deal without confetti or marching bands — is so thrilling. And so desperately needed. For more than 30 years, St. Francis House, an urban refuge for the poor, and the Boston Young Men’s Christian Union, which bills itself as “America’s Oldest Gym,’’ sat cheek by jowl near Boylston Street’s intersection with Tremont. In recent years, it has fallen on hard times. Glitzy new fitness centers opened nearby. It lost revenue when its key tenant, the Massachusetts Commission for the Blind, moved out in 2012. Its spacious interior, including a basketball court and two handball courts, grew fallow. Meantime, across the street, St. Francis House was bustling. 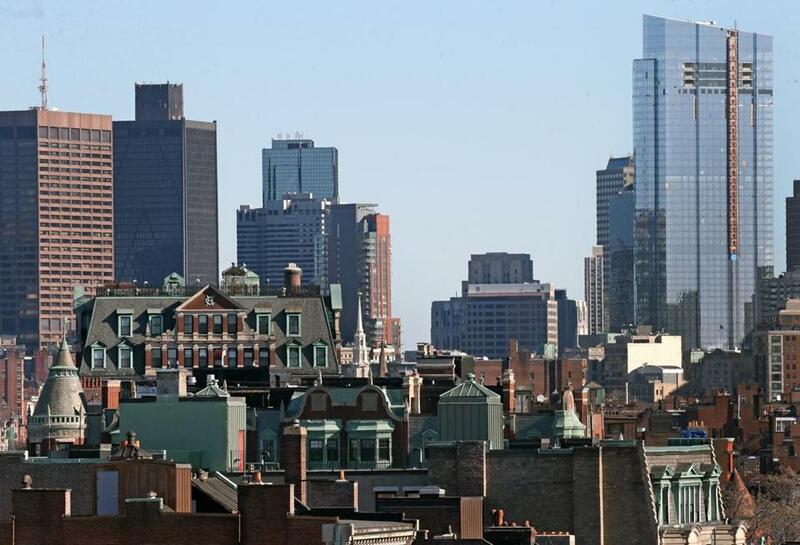 It offers food, shelter, job training, and counseling services to the poor in a section of Boston — Chinatown and the Theater District — that in recent years has seen the development of more than 2,000 units of luxury and market-rate housing. And so the two neighbors began to talk. And they discovered that the old Christian Union had something to offer to the relatively new St. Francis House: a place to grow, a place to help the poor amid all those fancy-pants towers. LaFrazia’s partner in this endeavor is the Planning Office for Urban Affairs, an affiliate of the Archdiocese of Boston. It knows a thing or two about how to pull something like this off. Since its origins in 1969, it has developed nearly 3,000 units of housing for those who desperately need it. You can call it a good start. You can call it a drop in the bucket. But if the financing comes together, sometime in early 2018, some people who have endured the bitter taste of homelessness will call it home. The project would convert America’s Oldest Gym into 46 units of affordable housing. Think of it this way: Some of those tenants, who once lived under a bridge, will carry a key to new living quarters. Those lucky enough to have corner units, will have a view through soaring windows toward Tremont Street and the Common beyond. And why not? The city commissioned a recent study that should send chills down the spine of anyone who believes economic diversity is an important ingredient in any world-class city. That study found that Boston’s median wage is $35,273, a figure that, in real terms, hasn’t changed for nearly 30 years. The Boston Young Men’s Christian Union was founded by 19th century men whose only mission was to foster inexpensive self-improvement. How great would it be if its new owners are able to refashion it to welcome those excluded by an economy that has pushed the poles between the haves and the have-nots even further apart? The first phase of the project would cost $17.9 million and is dependent, in part, on state funding. I’ve seen how some of that money is spent. How about an investment in social justice?